Are you looking for actionable advice on how to get more followers to engage with your Instagram posts? I personally manage an Instagram account that has almost 900,000 followers at this time, and I frequently get as many as 10,000 likes on my posts. Achieving success like that isn’t magic; it simply requires sharing photos that people want to engage with. If you’re not sure how to proceed with your own Instragram promotion, here are my top tips for creating Instagram posts that work for you. 1. Inspire and excite your audience. Product photography is essential to digital marketing, especially for ecommerce websites and brands that sell physical products. Many times, this entails featuring a single product against a plain background so that the product stands out. That kind of product photography is highly important; who doesn’t appreciate a well-lit product against a crisp white background? Great product photography can help increase the conversion rate for an ecommerce shop tenfold, so I highly recommend it for your site. However, with social media, you have the opportunity to let your products shine outside of the whitebox. Instead of confining your items to a small area, feature your products out in the wild! A picture of the blue shirt by on a white background would be okay. 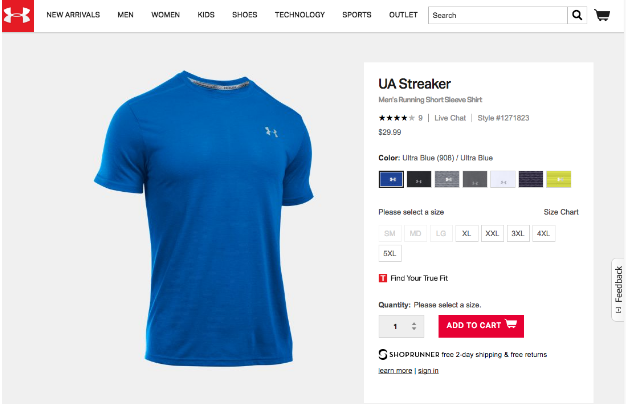 In fact that’s how it’s featured on the UA website which is pretty standard for ecommerce sites. If I’m into running and like the color of the shirt, I might click through and buy it. However, seeing someone like me wearing the shirt out there in the streets pursuing his running goals excites me such that I want to buy the shirt. Plain product photography is necessary in some cases, but on Instagram take the time to post photos that are a bit more exciting and inspiring. You don’t need an expensive camera or professional photographer to shoot your Instagrams for you. Instead, just grab your smartphone and a friend or co-worker who is comfortable in front of the camera. 2. Feature your product with a user-generated photo. 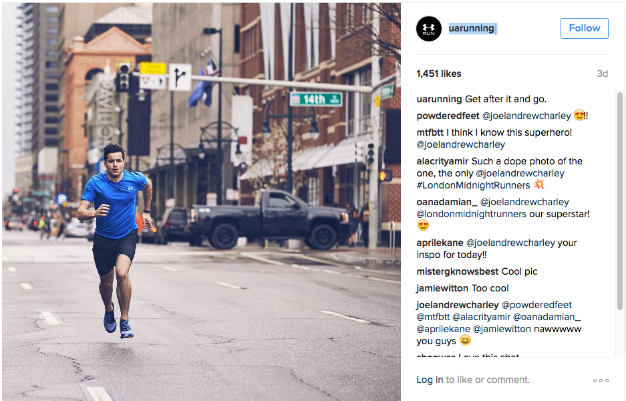 One of the best posts a company can feature on Instagram is a user-generated photo: This will show your product in use by someone who is not a model -- just an everyday person who loves your product. 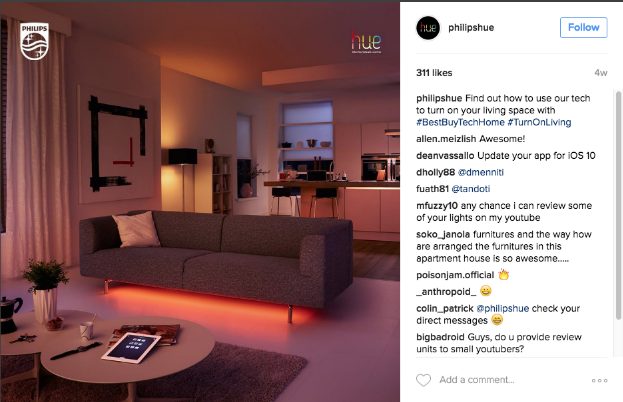 Ask your customers to tag you in their own Instagram posts. 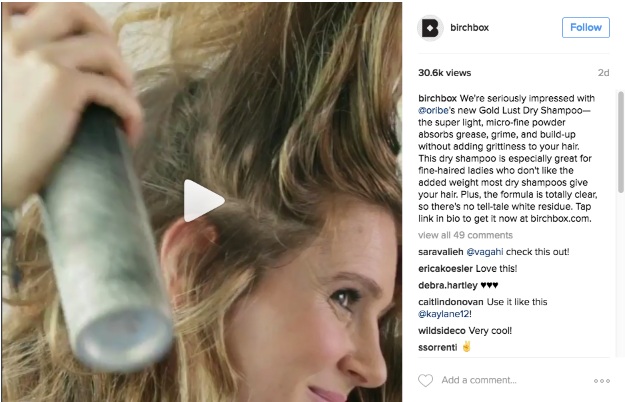 Ask your customers to use a specific hashtag when they use your products. Ask your customers to email you photos they wouldn’t mind your sharing. In the first two cases, you can use a free app like RePost that allows you to easily share your customers' photos while giving them attribution for their images. This is important, because you never want to look like you’re stealing someone else’s photos. In the third case, you’ll just need to set up an email address for collecting the photos. Alternatively, you could set up a form on your site that allows for an attachment. The latter requires a bit more work, as you’ll need to communicate with the customer before you upload the photo. That way, you'll learn more about his or her experience; but, hey, that’s not necessarily a bad thing. It provides you an opportunity to get the scoop from someone who is out there using your product "in the wild." All three of these methods will help you to create a positive bond with your most vocal customers. By showing off their pictures, you'll be giving them a special reward for choosing you over one of your competitors -- and that’s great for increasing customer loyalty. 3. Show off the features of your product. And hey, if you really want to kick things up a notch, why not try video posts? These short videos don’t need to be professionally shot. All you need is some good lighting and a mobile phone to get the job done. 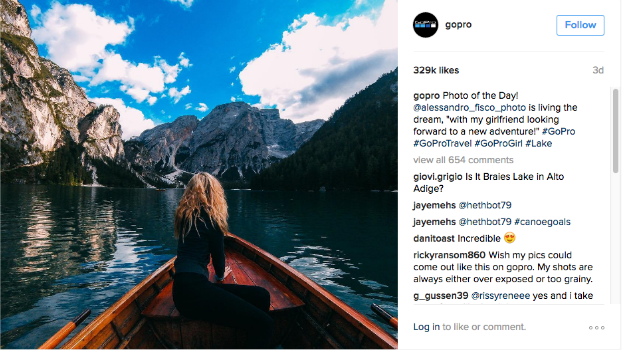 Now that you know how to create Instagram photos that excite and inspire your audience, it’s time to get started. Keep in mind that consistency is key. If you don’t see your engagement skyrocket on day one, keep at it, and you’ll see steady improvement. Success doesn’t happen overnight in most cases; it’s a process that you have to keep working toward. 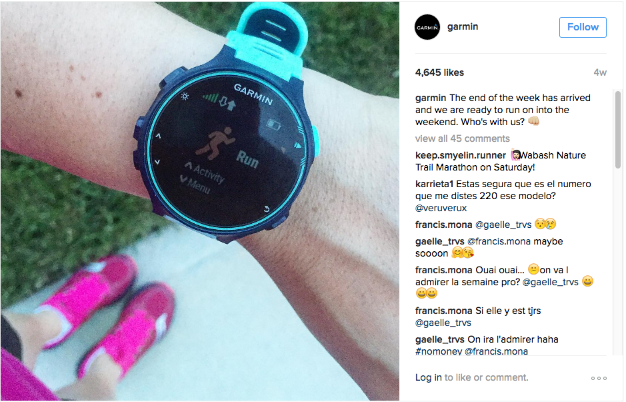 The good news is, a little sweat equity goes a long way on Instagram. If you put in the work to create engaging posts, you’ll be rewarded with likes, follows and comments. By the way, if you loved these actionable tips and want even more ideas for growing your Instagram account, check out this free guide, How to Get Your First 10,000 Instagram Followers!